Product prices and availability are accurate as of 2019-04-09 11:11:58 GMT and are subject to change. Any price and availability information displayed on http://www.amazon.com/ at the time of purchase will apply to the purchase of this product. 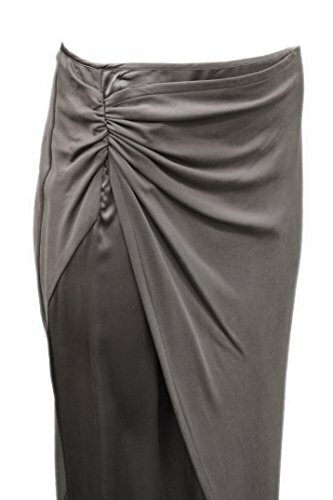 MAX & CO Shirred side detail faux wrap skirt, with silky lining, hidden side zip fastening, asymmetric hem, stretch fit. 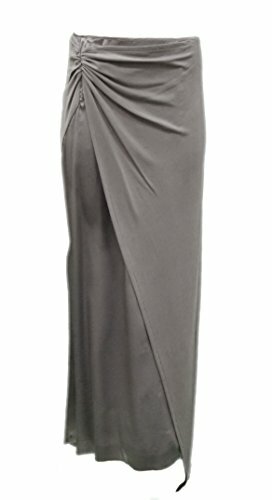 Waist: 26 Hips: 30 Length: 39 Inches There is a cut on label. Authentic hang tag intact.